Disclaimer: The Xduoo X3II was sent to me for the purposes of this review, it is a sample and does not have to be returned. I want to thank Xduoo for giving us the opportunity to review these headphones. Budget tier portable music sources seem a dime a dozen, don’t they? With so many options in the Asian Market to choose from, how are we supposed to know which ones are actually good? Well, thank the audio deities for this fake science degree I am holding right now, this lab coat and these glasses too. 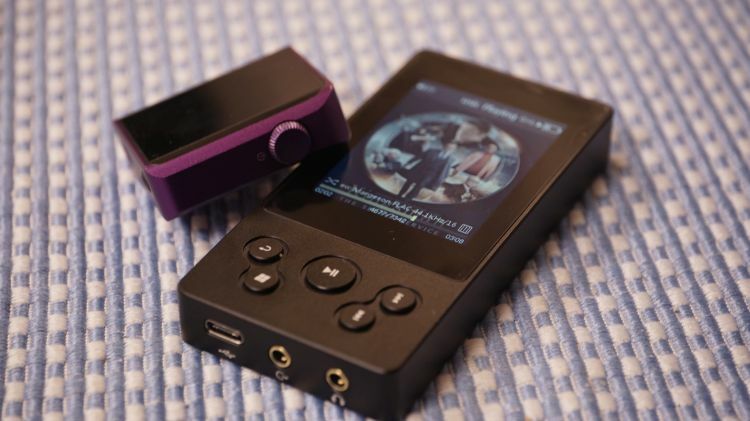 Today, we are going to take a look at Xduoo’s newest $119usd portable music player. Let’s not waste any time and get right into the nitty-gritty of the review process. The exterior of the X3II is aluminum with a very dense feel to the entire unit. At 112g, the X3II feels very good in the hand and of a high build quality. It doesn’t feel thin or hallow in the slightest. Typically, one can feel very gimmicky build in this price tier, so I am extremely happy to report that Xduoo did a great job with overall tactility. And truly, I think that is very overlooked in the review process, at least most of the time. How does it feel when you hold it? You’ll be holding it often, so I’d hope the design is enjoyable in the hand, right? It is. The button placements are very strange and too far near the bottom of the player to hold and also toggle comfortably for me. I’d actually rather sacrifice some screen size there for something physically raise up with button placements. Not at all a big grip, but could be if your hands are large. I really enjoy the UI quite a lot. It has been a very long time since I actually felt comfortable navigating the menu of a non-touch screen portable player such as this. What is there is very user-friendly and extremely well set-up. What I love most is the back button and how fast the player actually responds. When cycling down the track list, it really moves nicely for such a budget-oriented player. Track skip is very responsive and I’ve not encountered even a hint of lag or sluggishness inside the player’s UI. The features button (which looks like a Windows start menu icon) will reveal a bunch of options in the way of favoriting, shuffle and similar basic function toggles. I really enjoy the layout very much. From the home menu, everything is easily selectable and properly placed, at least, in my opinion. Usually, I have some type of gripe on where certain folders are left and stored. But, in this case, I really have nothing negative to say. Great job, Xduoo. The player looks and feels fantastic in setup. The X3II is DSD128 capable and I feel just fine with that. I don’t actually own DSD256 or beyond and usually have to outsource for loaner files from friends when sources are capable of it, so DSD128 is just fine for me. I can’t hear any difference beyond that anyway, so for me, it is perfectly fine and at $119? I can’t complain in the slightest. It also offers bi-directional Bluetooth capabilities. 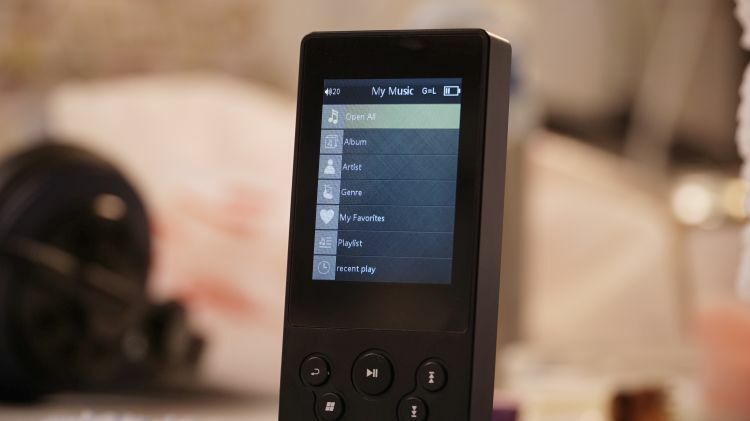 Meaning, it can stream Bluetooth in an output format to something else, perhaps another player, or a speaker, or it can stream input into the player itself and listen to another source entirely through a Bluetooth connection. 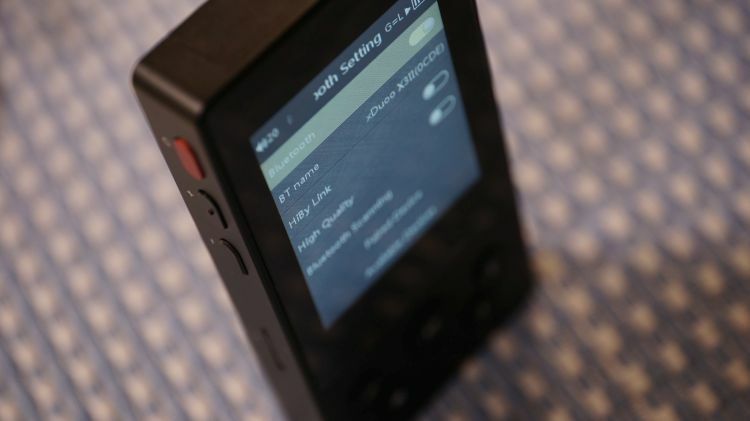 Beyond that, it is totally HiBy link compliant when connected to a smartphone using the mobile HiBy app. Lastly, you can use it as in OTG mode and use it as a file selection browser with a hard drive or a USB portable drive. Neat. Most of my subscribers are putting their hard hats on right now because they know how I feel about the AK4490 chipset inside. I am not fond of it. In fact, I really dislike it on a subjective level. Via a PC, the experience is less than stellar as a USB DAC. For the price, of course, one can purchase a $119 or so USB DAC that sounds better, but, it won’t have a portable source capability. So there is a good trade-off there. This DAC doesn’t feel musical to me. Quite the opposite. I find the treble and bass a bit too sterile for a portable player. On a zero EQ phase setup, the X3iII performs shoulder shrug-worthy, at best, when used as a USB DAC. The CPU is very slow and has trouble shifting through shuffled tracks in Foobar2000. It will lag and hang because the internal hardware just isn’t really suitable for fast track skipping. For me, that is a big issue. I have a 10,000+ track listing on my hard drive and I don’t want to wait and lag when I am pressing skip. The X3II dishes out 210mW, roughly, and that just isn’t much at all for anyone using a Planar or anything above 120Ω. I find it unsuitable for portable USB DAC usage because of that fact. You’ll just need a good portable amplifier to strap to the X3II if that is the case. If you are going to do that, I suggest the XRK Uber. It pairs nicely with the X3II and will make it sound yummy, velvet like and very dense feeling. The X3II doesn’t respond well to bass equalization at all. I am able to raise and toggle the low end in the custom music settings to my heart’s content and hear very little difference. I have to really jack up the low end to absurdly high levels to really get more depth. By that point, there is too much distortion introduced. As mentioned, the AK4490 DAC here just isn’t musical sounding to me in this X3II. It feels overly linear and lacking in depth. But, overall fidelity and quality for $119 are very good. If you are into the linear feel without much depth (bassheads) you will enjoy this very much. It isn’t quite clinical in tone, there is certainly some bloom and thickness to it. I just feel like the quantity of the low end, for the most part, is very streamlined with the midrange and treble experience beyond it. As mentioned just a bit ago, the midrange falls in line with the bass experience and the entire bottom and middle sections of most of my listening tests were extremely linear feeling. Meaning, equal bass, and mids without either feeling more prominent than the other. 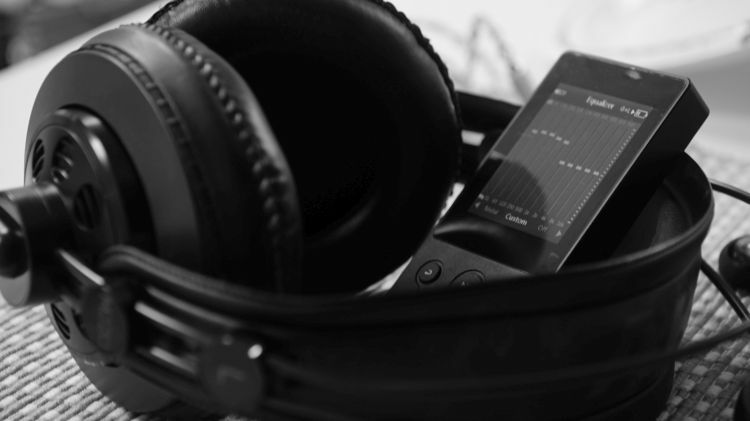 On a flat EQ, the X3II performs very well in a tactile reference feel, but not with tonality. The experience feels flat but sounds quite sweet and soft sometimes in dynamic impact. That means that the vocal experience and bass feel more on the soft and relaxing side. Usually, clinical tonality equates to a harsh feel to everything. But, in this case, the X3II is showcasing a rare quality: a flat bass and midrange quantity of equal portions, but with a more gentle approach. I actually wish a lot more DAP’s and sources would sound like that. I subjectively enjoy that type of a sound field in my preferred music listening. I don’t like harshness. Those who enjoy a more simplified and enjoyably soft approach to it all will really feel at home with the X3II. The midrange is not bloomed and does not feel very forward. It is moderately relaxed in physical locale and does not feel recessed at all. I’d naturally expect the treble at this point to feel a stark contrast to the rest of the response of the product. But, I was pleasantly surprised to hear yet another softer approach on the treble end. Even with an elevated treble response in the custom EQ window. I don’t consider the player overly soft feeling, I do consider it relaxing. It meshes very well with headphones that do not have harsh dynamic kick and slam. The more musical the headphone, the more enjoyable I found the X3II to become, as a source. The top end is very gently sparkled in certain “very top end of the spectrum” areas. But, the upper mids and very low areas of the treble response are a bit too dry. This is very easily understandable and audible when referencing modern Jazz tracks from artists like Bireli Lagrene. When Bireli is playing his guitar, high E-strings are felt with a sense of dryness and lacking sensibilities. Then at the same time, some piano key strikes are felt with a very beautiful sweetness and tonality that is on the musical end of the spectrum. That same guitar will then invert to a more sweetened tonality when Mr. Lagrene hits a harmonic. The same is said with certain vocals and higher pitched voices. Again, further enforced when I listen to “lo-fi hip-hop” tracks via Spotify. Some pianist moments can sound quite stunning at times, but then high hat cymbal strikes behind are overly lacking an interesting tonality. Is this a problem? At $119? Nope. Not really. It just feels overly audible at times in that the very top end of the spectrum is pronounced more than the everything else below it. And it isn’t a negative pronounced feeling. It is actually very musical and enjoyable. Sadly, the X3II fails to impress me with staging dynamics. Although, I am happy to note that the soundstage feels excellently coherent and well-formed. While not large or deep feeling, what is there is very similar the what I consider the Beyerdynamic T1 to have been: the ultimate incoherent and proper feel and setup. The void bubble of sound coming at you is so well balanced and snug. I enjoy it very much subjectively. But, the stage doesn’t play well with the relaxed midrange appeal on a flat EQ. Meaning, if the mids were more bloomed and more forward, this X3II could have been one of the best intimacy lovers portable players I’ve heard in a while. I am unable to fix that via EQ, because the player doesn’t respond well to customization alterations. Height and width are just fine and not lacking at all. The depth of field and airiness factors are also good and neither great nor lacking in any sense of audibility. The strongest feature it has is the very jet black background effect and how quiet and clean the space between instruments and vocalists can feel. Gosh. At $119? This was probably the best overall DAP I’ve ever reviewed in the way of overall fidelity and features. But, it doesn’t cater well to people who might want more EQ functionality and to sound very different from the stock flat EQ sound the player exhibits. If your headphones are generally not exaggerating in tonality, but, also do not impact hard, then this is a fantastic portable choice for you. If you are okay with strapping a musical amplifier to it while on the go, I highly recommend doing so. My XRK Uber + X3II combo sounds very good and combined with the excellent UI, the experience is very enjoyable. I’d like to see hardware used in the design that is friendlier to alteration in the next model. For now, I really can’t complain too much. The price is excellent and the features list is too. At $119, I feel comfortable saying it was a great improvement over the recent D3 from Xduoo. They did a good job on this X3II, no doubt. 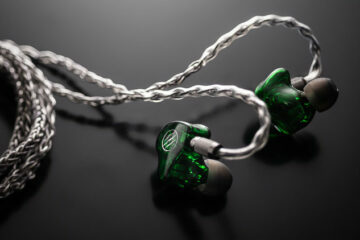 Have you considered buying a bassier headphone or IEM? I got problem when using this as usb dac to my notebook and pc, “usb audio device driver failed to install”. any solution? or I get the bad unit? 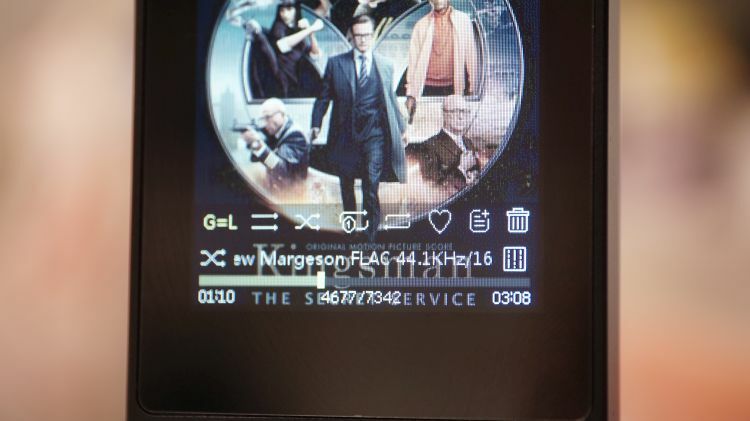 Can it pause, or move to next song when screen off like old Xduoo X3? That might be difficult to know Ernie until Mike breaks it. Some sort of strategically placed banana peel on the floor on a Sunday morning should help there. Price and tone might be OK but customer service has been very poor in the past. Has that improved any with time? Thank you for the reply! It’s sad that companies can’t include such a simple feature. I have read that Fiio X3 iii has replay gain in the latest update but I have also hear bad reviews of the DAP. Also Shanling M2 and up is said to have replay gain, but those are almost twice the price. Thanks for the great review tho! Oh goodness, I’ve not seen replaygain since the days of Rockbox and custom firmwares on expensive DAPs. Sadly no, the X3ii doesn’t seem to allow for that. This might have been mentioned in the post, but I probably glanced over it. Does this DAP support Replay gain and read foobars replay gain tags from audio files in the SD (not when used as a DAC). It seems like such an implausible task to find any entry-level DAP with that feature. It’s really inportimp to me since I like to play all my songs on shuffle. Thank you in advance! I can’t comment on the T2 or the ZS5, haven’t heard them. But, the M30 will sound very nice through the X3ii. Thankfully, the M30 is just under 50ohm and should be more than fine in power needs driven by the X3ii. I worry about bass impact though and the soft nature of the X3ii. It is possible it will be a noticeably softer dynamic impact for you with the M30, but no too much. If that is a thing for you and you prefer something more engaging, I’d opt for the Shanling M0 instead. There is an audibly superiority in the M0’s top end over the X3ii. But, there is also an audibly superiorioty in coherency in the X3ii over the M0. Subjectively, I enjoy the dynamic impact of the X3ii. But, I enjoy the M0 presentation more because it feels a bit more forward and what I consider intimate. For me, I’m probably going to use the M0 because it is just so small and I enjoy my earbuds that pair very well with it. I’ve not really found a pairing in the earbud realm for the X3ii yet that sounds great to me. And, when I consider my XRK amp in the mix on the go, all of that becomes negligable. The XRK propells the sound quality to a point where it doesn’t matter which one I use, the M0 or the X3ii. So my suggestion is if you have a great portable amp, dont worry, they will likely both sound the same coming through you rig for the most part. If not, M0 for treble needs and intimacy. X3ii for coherancy and any headphones you feel to house a very well formed image. 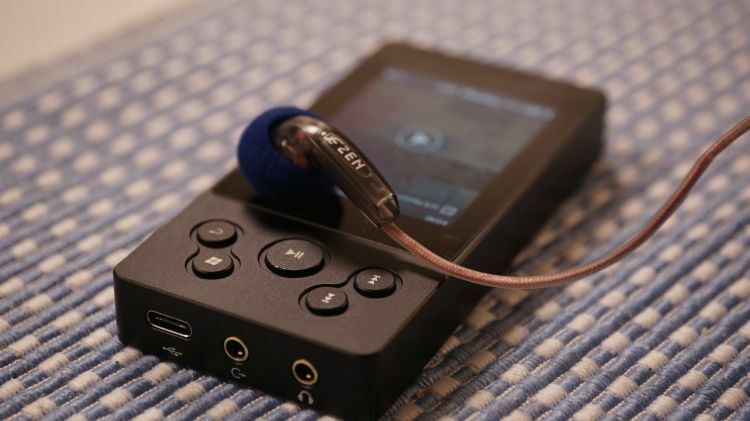 Question of the year…… Is this better than the Shanling M0 in terms of sound quality? Specially because the treble extension on the M0 is simply fantastic.